Having scans using a traditional MRI can be daunting for a person who suffers from claustrophobia or similar anxiety. That’s because having a traditional MRI involves sliding the patient into a relatively tight-fitting tube, a position they’ll need to stay in for a potentially lengthy period of time. The Standing MRI is different, however. 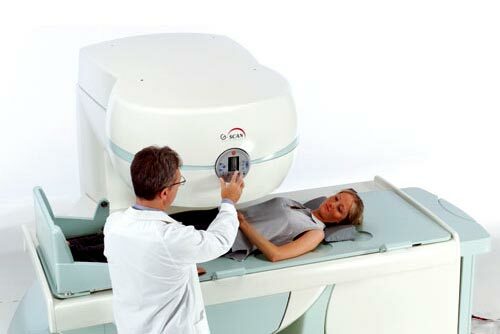 As the photos of our type of machine show, the Standing MRI is more open than the traditional MRI. In fact, if you’re having the MRI on your lower body region the entire top half of your body will be open. If you’ve been prescribed tablets to help subdue your claustrophobia or anxiety symptoms, take one before your scans. Some people find herbs, such as passionflower and kava assist to cope better with claustrophobia feelings and other anxieties. Relaxation and stress-relief techniques have been shown to help some people. Similarly, meditation and even music can relieve symptoms. Cognitive behaviour therapy (CBT) or controlling your thoughts can also help.